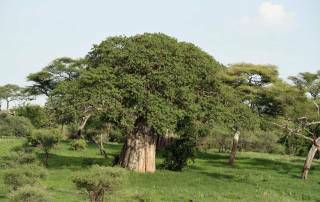 Large concentrations of elephant herds and distinctive baobab trees are the trademarks of Tarangire National Park and a Tarangire Safari. In the dry season, surrounding the month of August, elephants congregate along the Tarangire River to ensure access source of water. 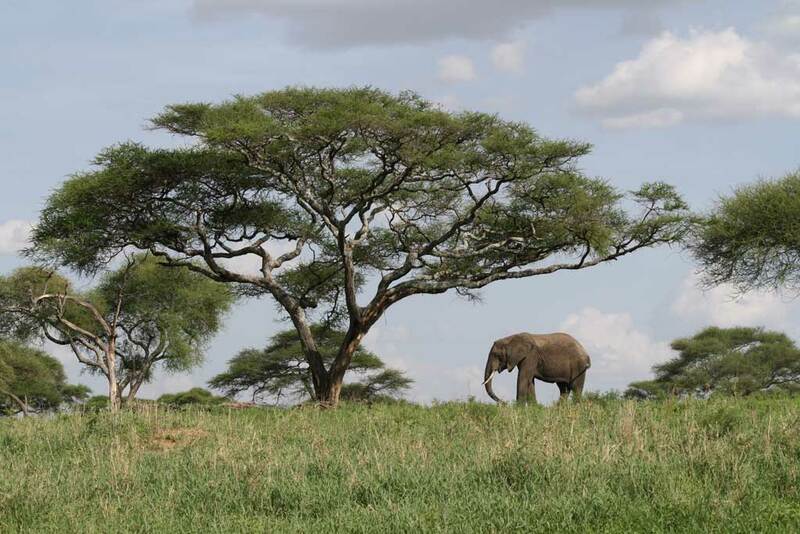 Tarangire is about 2 hours west of Arusha. Pavement extends all the way from Arusha to the park boundary. A registered safari vehicle and a certified guide must be obtained to tour the park. 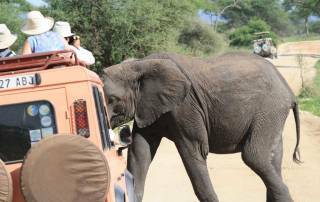 For our Tarangire Safari, the drive from Lake Eyasi was long and hot drive to Tanagire. Sitting in the front seat of the Land Rover put you at risk of sun stroke. 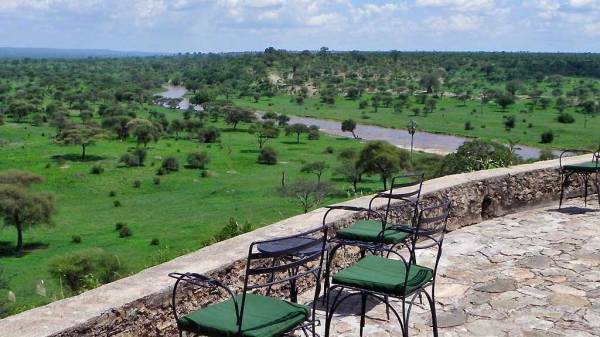 At the Tarangire Safari Lodge the accommodation was tents. The weather was too warm for a mid afternoon safari and too warm to rest in the tent. Flies were too numerous to sit outside. Although the tents weren’t all that comfortable, the view from the deck of the lodge was spectacular. 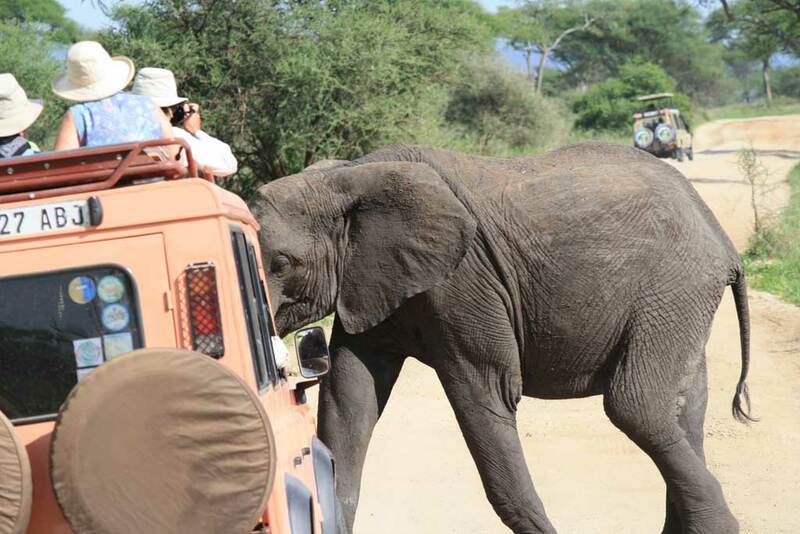 The group opted for a game drive in spite of the heat. Tarangire has about 2,500 elephants. 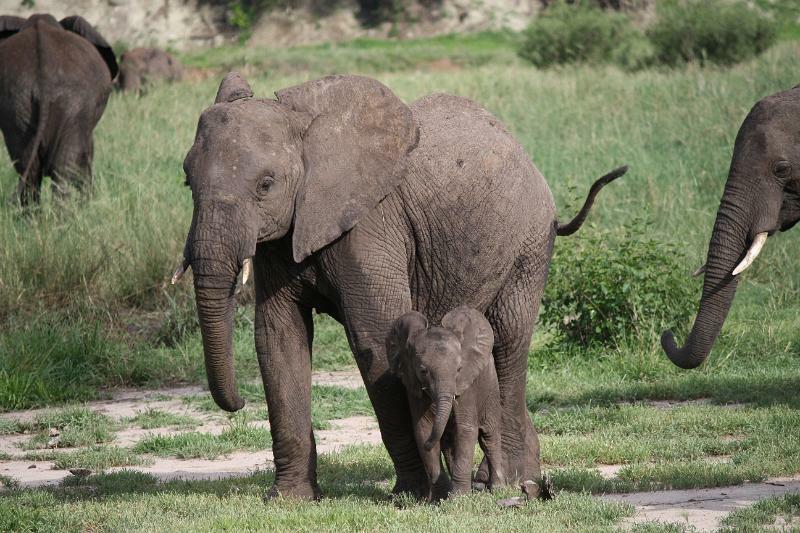 Our Tarangire Safari saw more than 100 on a two hour drive. At one point we were among a herd of more than 30, with some elephants being as close as ten feet away. The sound of the grass being torn and eaten was so loud that it made you feel you were too close. Plus the smells from that distance were very authentic. 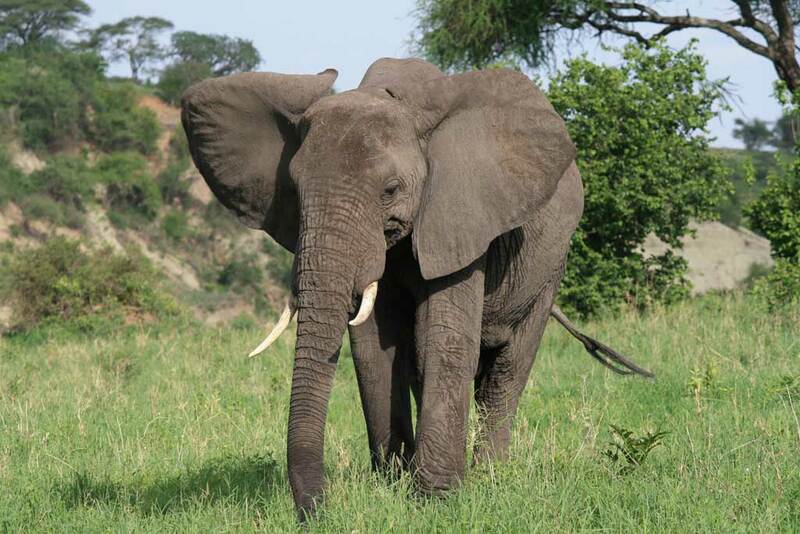 One young male trumpeted his displeasure with us, but our driver calming head our position. 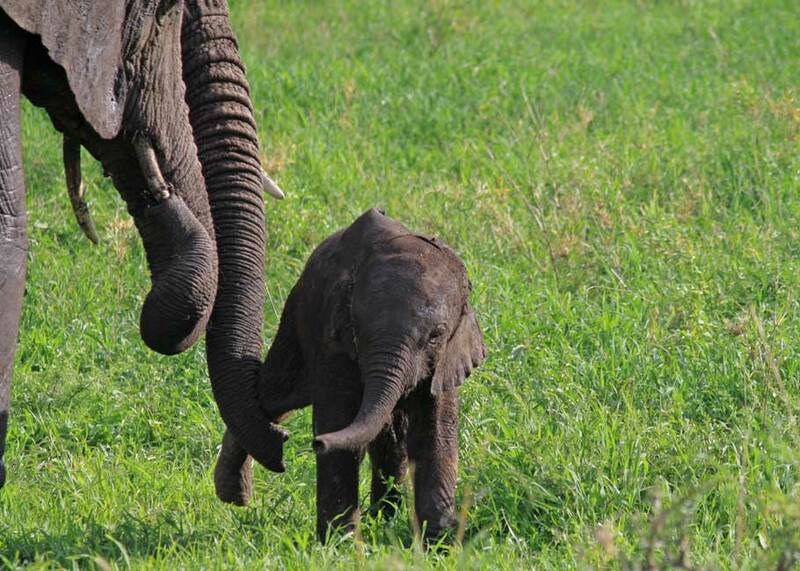 Eventually the young the elephant gave up and backed away. A very young baby was napping on the grass while the others grazed. The lead female made a rumbling purring sound, which meant it was time to reposition. 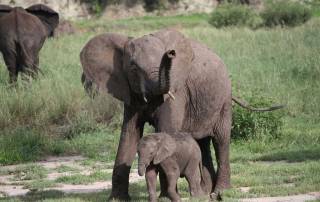 When the baby didn’t move, two females poked and prodded the young one until it got up. 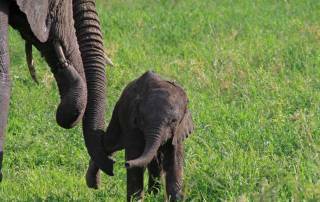 At one point the baby elephant was standing on three legs, while a female’ trunk lifted its fourth leg. The baby plodded forward for about 25 steps to the new group position. Then it flopped down in the grass again. 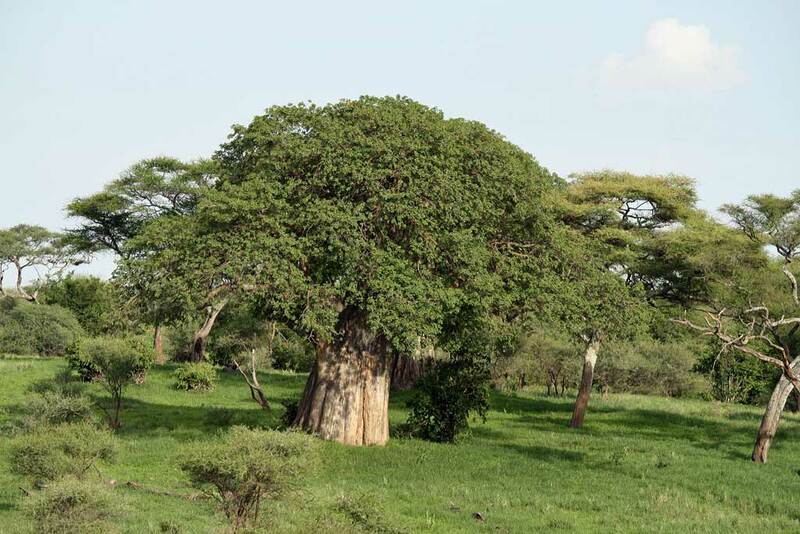 Tarangire was gorgeous with its carpets of rolling green, its baobab trees and other trees dispersed in a manner that resembled a golf course. The two hour game drive covered it nicely. Tarangire is usually recommended for the dry season in August when elephant concentrations are higher, but I thought it was perfect in February. In my opinion, Tarangire is the top destination for viewing elephants in Tanzania.